been trading for 10+yrs. started with future and for past 6 yrs into forex. I use trendlnes solely and I have been told I bring art into using this technical tools. I can project accurate lvls on intraday and can project the mkt range by using them. In other words, I guess seeing is believing. 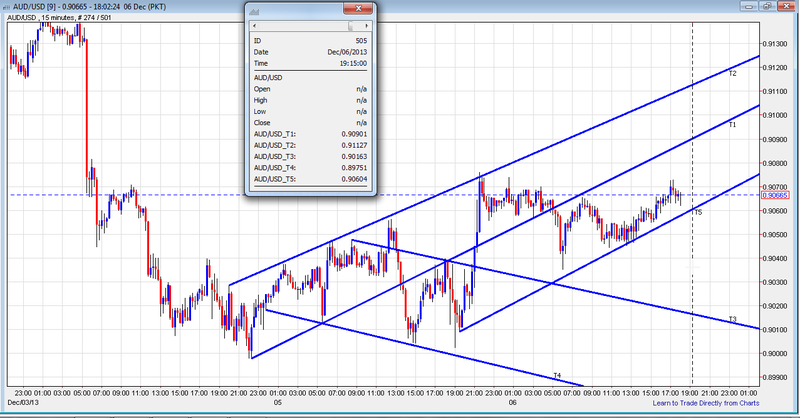 USD and T6 to T4 play for now.. Incase this happens looks a fake down to T6 and a up move.. would imply majors can do fake up and a fall.. T6 breaks however and this is down and which implies majors are going for the kill on the USD..
AUD 2 hrs.. 9075 break point.. else 8960ish on it..
EURO CROSSES :::::: EURAUD:: Hinting Lower as well..
EURAUD:: Hinting Lower as well.. Some interesting layouts... The reason I prefer 30 mins is that it ends up letting u know in advance what to expect on bigger TF. Thanks for the very clear charts...I sometimes use Netdania too, and to watch USDX etc, I hope I can contribute with value. Mention not. 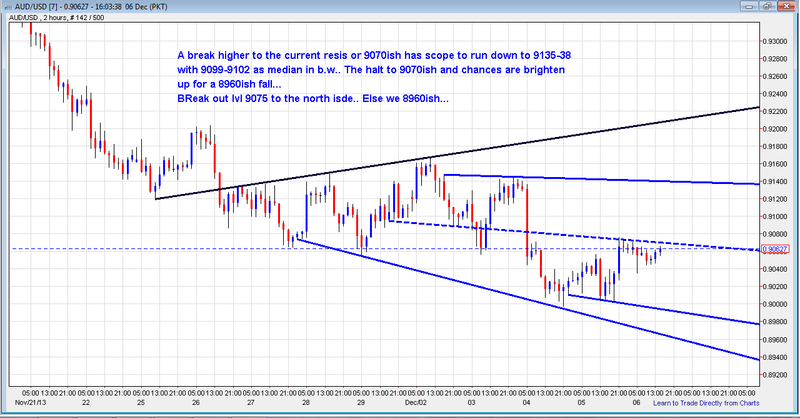 I use powercharts, the beauty is that i can say upto 200 various charts and hence easy to go by and readily available. 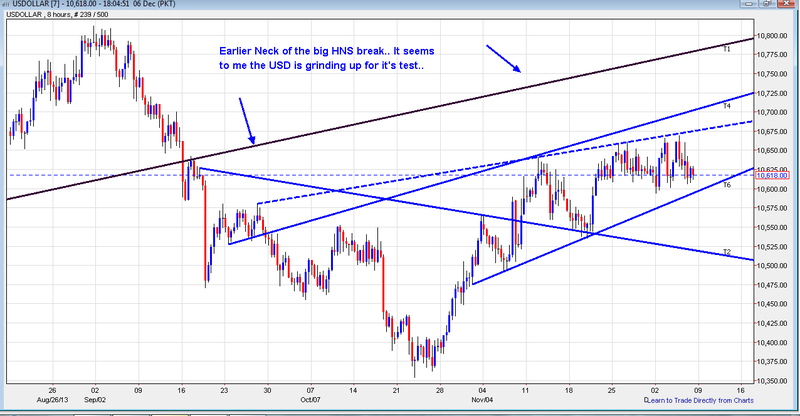 Do you enter trades based on the 4hr tf or do u use it to do analysis and monitor trades? main entries are off 4 hrs and 30 mins to track the trade is heading in the rt direction..
4 n 8 hrs are also used to locate the breakout areas and where they are pointing gives a hint where price can travel to if around close to them lvls..
Keep on posting the trade results. You see me less active when I have done my monthly tgts..... As of now pattern play is the only way I like to proceed further and try to catch em smaller trends if lucky..
Now I know, Tahir, who was Trading against me!! !